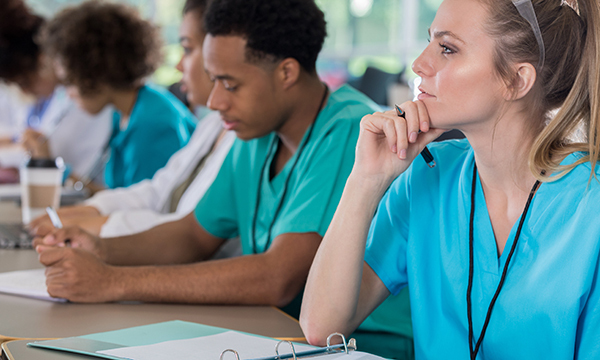 Nurses in Scotland could become the first in the UK to have continuing professional development (CPD) time protected by law. A legal safeguard for nurses' CPD time is included in a series of amendments to Health and Care (Staffing) (Scotland) bill being considered by members of the Scottish parliament. If approved, employers would have to ensure nurses have at least 35 hours of CPD every three years. This is the minimum required for Nursing and Midwifery Council revalidation. Doctors in the UK already enjoy legal protection for their CPD time through their employment contracts. Nurses everywhere in the UK have been struggling to complete CPD because of staffing pressures in their workplaces. Ms Johnstone said ensuring nurses had time to develop their professional skills would help recruitment and and retention. ‘The opportunity to develop makes people feel valued, and it encourages and supports people to be their best,' she said. Ms Fyffe said the college would be fighting for all three amendments to remain in the bill. ‘Scotland’s politicians have listened and supported many of our arguments, as they too want to get this legislation right,’ she said. The Scottish Government said it continued to work with stakeholders to ensure the bill 'recognises and supports the multidisciplinary nature of health and social care'. 'Our Health and Care Staffing legislation for Scotland is the first multidisciplinary workload and workforce planning legislation anywhere in the UK,' a government spokesperson said. Such actions include free tuition for nursing students and increasing the student bursary to £10,000, the spokesperson added.